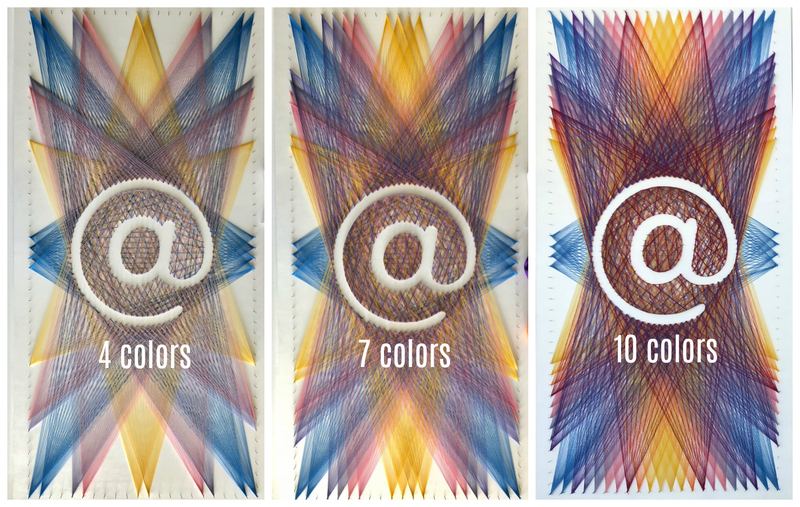 Custom string art design and panels for Twitter’s OneTeam global summit, August 2018. Four 4- x 8-foot pine plywood panels, hand painted with acrylic paint and 1,200 hand-hammered steel nails. Ten PMS-matched colors of Peruvian highland wool.